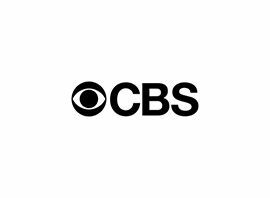 CBS (an initialism of the network´s former name, the Columbia Broadcasting System) is an American commercial broadcast television and radio network that is the flagship property of CBS Corporation. The company is headquartered at the CBS Building in New York City, with major production facilities and operations in New York City (at the CBS Broadcast Center) and Los Angeles (at CBS Television City, CBS Columbia Square and the CBS Studio Center). CBS is sometimes referred to as the "Eye Network", in reference to the company´s iconic logo, in use since 1951. It has also been called the "Tiffany Network", alluding to the perceived high quality of CBS programming during the tenure of its founder William S. Paley. It can also refer to some of CBS´s first demonstrations of color television, which were held in a former Tiffany & Co. building in New York City in 1950. The network has its origins in United Independent Broadcasters Inc., a collection of 16 radio stations that was purchased by Paley in 1928, and renamed the Columbia Broadcasting System. Under Paley´s guidance, CBS would first become one of the largest radio networks in the United States, and eventually one of the Big Three American broadcast television networks. In 1974, CBS dropped its full name and became known simply as CBS, Inc. The Westinghouse Electric Corporation acquired the network in 1995, renamed its corporate entity to the current CBS Broadcasting, Inc. in 1997, and eventually adopted the name of the company it had acquired to become CBS Corporation. In 2000, CBS came under the control of Viacom, which was formed as a spin-off of CBS in 1971. In late 2005, Viacom split itself into two separate companies, and re-established CBS Corporation ? through the spin-off of its broadcast television, radio and select cable television and non-broadcasting assets ? with the CBS television network at its core. CBS Corporation is controlled by Sumner Redstone through National Amusements, which also controls the current Viacom.